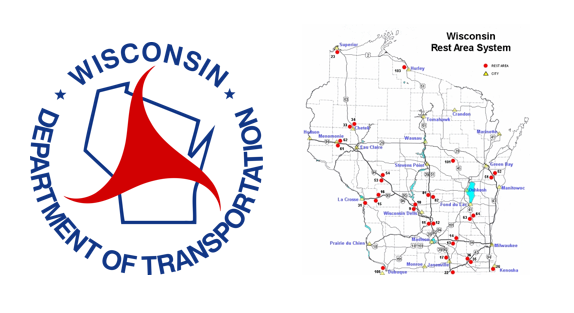 The Wisconsin Department of Transportation (DOT) now receives rest area feedback delivered by visitors and provided by Opiniator. This means that the DOT staff receive comments, ratings and, reviews in realtime from visitors to both the rest areas and visitor centers. They had previously used comment cards but experienced many of the common problems associated with them. We have already documented elsewhere that there are at least a dozen reasons why comment cards need replacing with a real-time alternative. Wisconsin joins 10 other states who are using Opiniator for on location visitor feedback at their rest areas. A list of other states is provided here. Visitors to the rest areas are requested to give feedback via onsite posters located throughout the facility. The feedback can be delivered via the visitor’s own cell phone using text messaging, a phone call or the web. This means there is no app to download and the feedback can be delivered on all cell phones – not just smartphones. An example of the signage is shown below. 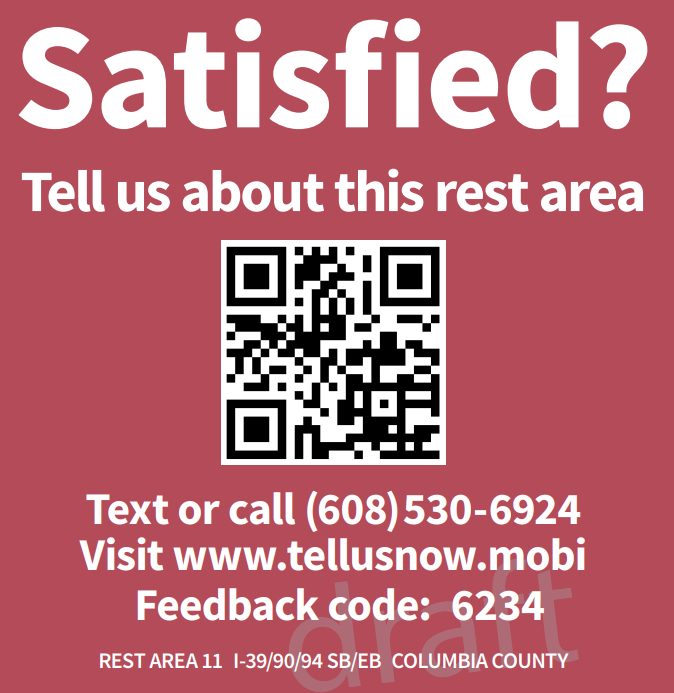 Rest area visitors are asked to rate the cleanliness and operating standards of their location using their own cell phone. More specifically, the data is gathered by a short survey. In addition to the ratings, Opiniator also collects comments and ideas. When feedback ratings are low, the system immediately sends an alert email message to the appropriate location staff. For example, if restroom cleanliness is the issue, Opiniator sends an email to the location staff. This means they can fix the issue, correct the hazard and even connect with the visitor. Moreover, once the issue is corrected, all actions taken are recorded in the system. In doing so, this allows everyone to see the steps taken and the duration of the fix. Most importantly, the DOT can confirm the issue is closed, so can be confident the operating standards are raised. All the rest area feedback data is viewed on a private dashboard. This means the Department of Transportation staff can assess individual rest area performance. In addition, the new benchmarking tool rank orders the locations to see which is best in class, and which needs improvement. The questions can be changed online and are instantly delivered ready for the next visitor. The end result is an improvement in operating standards and happier visitors. Wisconsin now has a true closed-loop feedback program. The Wisconsin rest area feedback program is similar to other states who use Opiniator. An article from GovTech – explains the typical use and benefits of implementing real-time visitor feedback. Further information on how other rest area and facility managers are using Opiniator can be found here. Click on the ‘Facility Feedback‘ product sheet and have the information sent to your inbox.